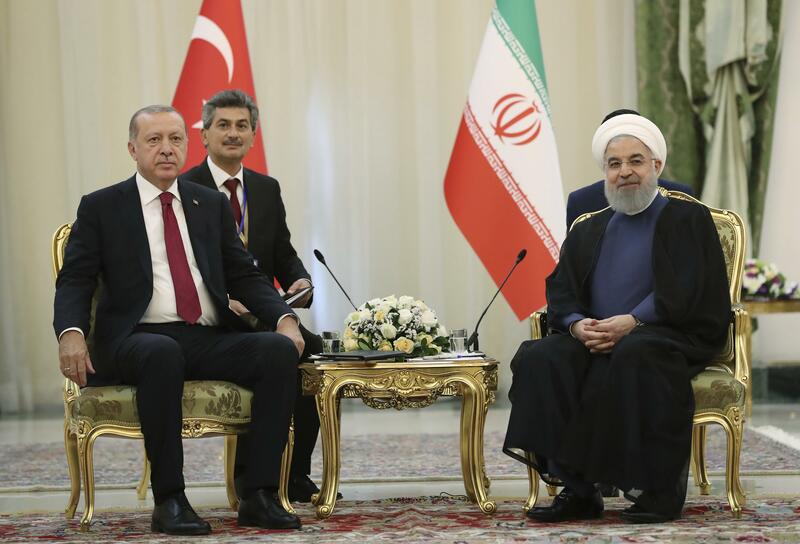 Fri., Sept. 7, 2018, 9:08 a.m.
TEHRAN, Iran – The presidents of Iran, Russia and Turkey met in a high stakes summit in Tehran on Friday to discuss the future of Syria as a bloody military operation looms in the last rebel-held area of the war-ravaged nation, each laying out terms and issues on the battlefield most critical to their own concerns. Turkey’s president appealed for a cease-fire in Syria’s Idlib, saying a government offensive in the northwestern province would be a national security threat to his country and unleash a humanitarian catastrophe. His call appeared to be at odds with statements by Russian President Vladimir Putin who said the Syrian government “has the right” to regain control over all Syrian territory, including Idlib. The two leaders, along with Iranian President Hassan Rouhani spoke at a summit meeting in Tehran to discuss the future of Syria as a bloody military operation looms in the last rebel-held area of the war-ravaged nation. “Idlib isn’t just important for Syria’s future, it is of importance for our national security and for the future of the region,” Turkish President Recep Tayyip Erdogan said. Putin reiterated Russia’s stance that Assad’s government should be able to regain control of all of Syria. Reacting to Erdogan’s proposal for the joint communique to call for a cease-fire in Idlib, Putin said “a cease-fire would be good” but indicated that Moscow does not think it will hold. Northwestern Idlib province and surrounding areas are home to about 3 million people – nearly half of them civilians displaced from other parts of Syria. That also includes an estimated 10,000 hard-core fighters, including al-Qaida-linked militants. Published: Sept. 7, 2018, 9:08 a.m.